Rigid boxes portray elegance, luxury, and achieve an 'A-class' presentation,great as high end packaging solution.But rigid boxes need more space to store and freight to transport.So collapsible rigid boxes have become great alternate to save space and store. Collapsible rigid boxes have the same looking and feeling even strong construction as rigid boxes,but Collapsible rigid boxes permit optimize the storage space. You can storage them as a thin layer easy to transport when disassemble. Forget about the sometimes annoying volume of the rigid boxes. The easy and fast way to assemble the box will allow the customer to have it ready to use within a few seconds and keep the inside safe. As custom made boxes manufacturer,Gift Boxes Shop specialize in manufacturing quality collapsible rigid boxes,great as cosmetic boxes,shoe boxes,apparel boxes,gift boxes and more ends.We can print,hot stamp,emboss,deboss you logo on collapsible rigid boxes,short run is available. 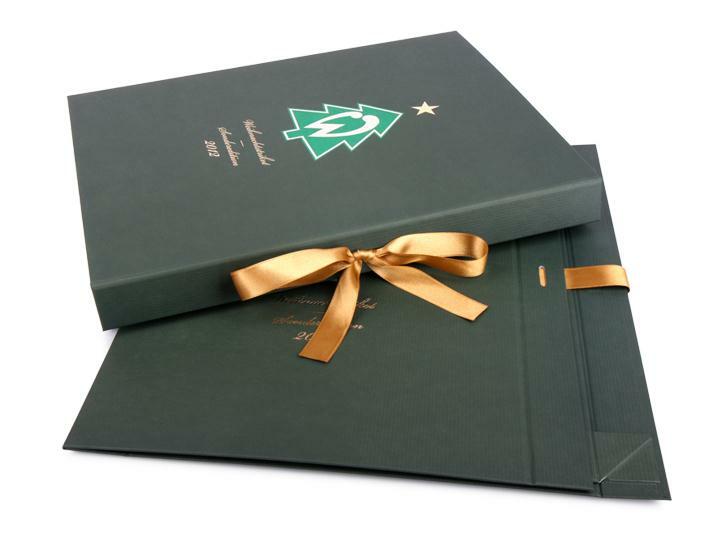 special paper--with various texture and finish to add luxurious and quality feel into box. 5 Closure: we offer different closure methods to make box close firmly.Options include ribbon closure,magnetic closure. Custom made collapsible rigid box with printed logo.This box is made of 1200g paper board to build very strong construction,then wrapped tray by art paper with matt lamination,two colors printing,100% ink coverage on inside and outside of box,folded at wall,with hinged lid and magnetic closure.Gift Boxes. 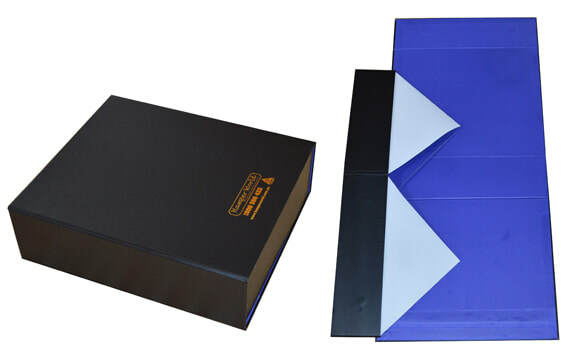 This box is made of 1200g chipboard,covered by art paper with matt lamination,black color printing on outside and royal blue color on inside of box,hot stamping logo on top lid,concealed magnetic lclosure,folding sideway,easy to assemble into rigid boxes when us. Printing can make or break your specialty box. Add a simple, one-color line art logo or a vibrant, four-color photographic image to your box. We offers process printing, foil stamping, and embossing for your boxes, inside and out. Plus varnish, aqueous, UV coatings, and film lamination can be added if needed. The options for your specialty box are limited only by your imagination. You can add graphics to your box with conventional printing. One or two color line art on white or colored paper is most cost effective. But it's the rich, four-color process, photographic images on your box that catches the consumers' eye. Add a look of distinction to your rigid box with foil stamping. You can achieve a brilliance that cannot be duplicated with ink. A wide spectrum of matte, gloss, metallic, or holographic foils are available. Combine the perfect foil color with one of thousands of colored, patterned or theme papers to achieve a look that fits your corporate image. Through embossing, we can add texture by raising your graphics off your box. You can add any pigmented or shiny foil stamping,even spot uv varnish on top of the embossing, or keep it "blind" for a classic, elegant appearance. Create a picture through texture with blind embossing. Embossing your box will add value and class. You can add a layer of protection or a gloss or matte finish to your rigid box by coating the paper wrap. Choices of coatings include varnish, aqueous, UV or film lamination. For simple logos, varnish often adds enough extra protection to prevent the printing from rubbing off your box. aqueous coating is harder than varnish and offers the protection needed on heavy print coverage. UV coating really makes the difference by making the images pop off the paper. Film lamination is used to provide protection when no other coating will do.